Fundamentalist Christian group American Family Association is urging members not to accept any mail postmarked with the U.S. 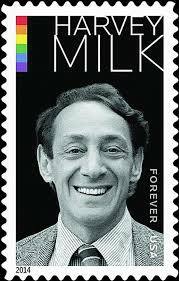 Postal Service’s newly released Harvey Milk stamp, the first U.S. stamp to feature an openly gay elected official. In related news, the American Family Association announced plans to put its fingers in its ears and say “LALALALALALALALALA” until the 21st Century goes away. This entry was posted in Civil Rights, My (largely correct) political views, Random Opinion, Random Smartassery, WTF?! and tagged american family association, harvey milk on May 31, 2014 by Amy Robertson. I hope all their funders use Harvey Milk stamps.